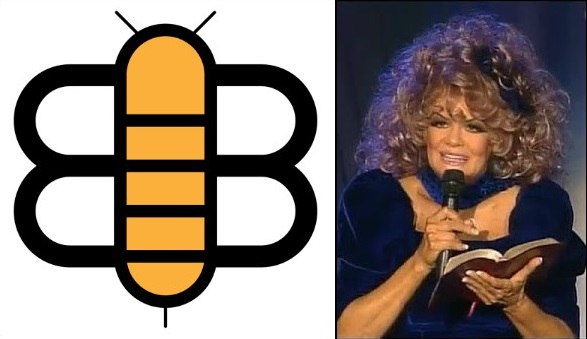 DETROIT — A website that identifies itself as a Christian satire news site is receiving criticism for making light of the death of Trinity Broadcasting Network (TBN) co-founder Jan Crouch this past week. On Tuesday, Crouch’s family announced that she had passed away following a massive stroke at the age of 78, three years after her husband Paul died due to chronic heart problems. Her children and grandchildren mourned the loss, including son Paul Jr. and his family, who have been estranged from Crouch for years as the relationship was splintered over a nationally-publicized lawsuit filed by granddaughter Brittany Koper surrounding the use of funds at TBN. On the same day that Crouch died, the Babylon Bee posted a mock story featuring fabricated quotes from prosperity preachers who asserted that Crouch brought her death upon herself by speaking negative words. “Maybe she read a really mean tweet or some criticism of her theology, and she spoke the words out loud and gave them life. How else can you explain someone who possessed supernatural health from God dying four years before the average female life expectancy in the U.S….,” Ford wrote in a mock quote attributed to Joel Osteen. “[S]he spoke her own demise into being. I can’t think of a single other reason that can explain why she would die of a stroke during ‘healing month’ on TBN,” he also penned Benny Hinn as stating. “[T]he stroke must have somehow released its life force by declaring victory over Jan Crouch’s health—activating God to do its will through faith, unfortunately,” Ford wrote in a statement attributed to T.D. Jakes. While the Babylon Bee does not allow comments on its website, many have taken to the outlet’s Facebook page to remark that they did not find Ford’s article funny. “Really? This is disgusting. Even if I didn’t agree with them, satire over death is something that we as purported Christians should be above,” one commenter wrote. The majority of the over 500 comments on Facebook expressed disagreement with the satirical piece and/or the spirit of Ford’s article.